Although Alexander the Great is not mentioned in the Bible. The effects of his empire made great impact on the New Testament. 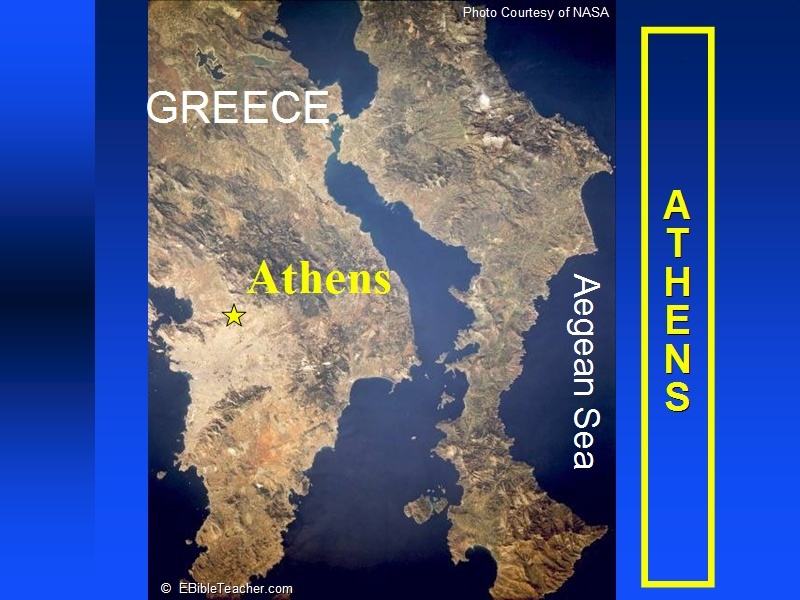 Greek became the language of business and ultimately the language that the New Testament was written in. The Roman empire was in control of much of the world during the time of Christ. The empire helped in the spread of Christianity by providing a highway system and relatively safety. 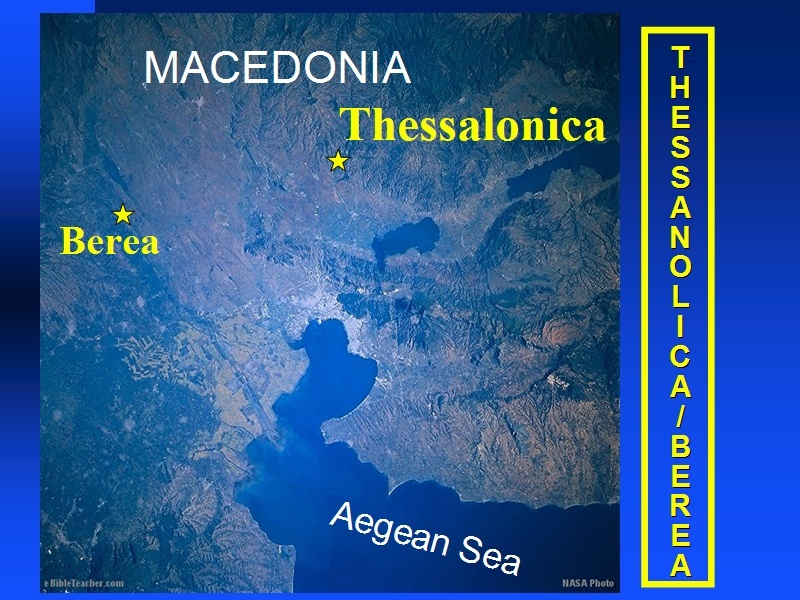 Note that the land is no longer divided by tribes. The people, however kept detailed records of their lineage and could easily describe from what tribe they had descended. This was particularly important in regards to determining who could serve as priest. Only descendants of the tribe of Levi were allowed to serve as priests. 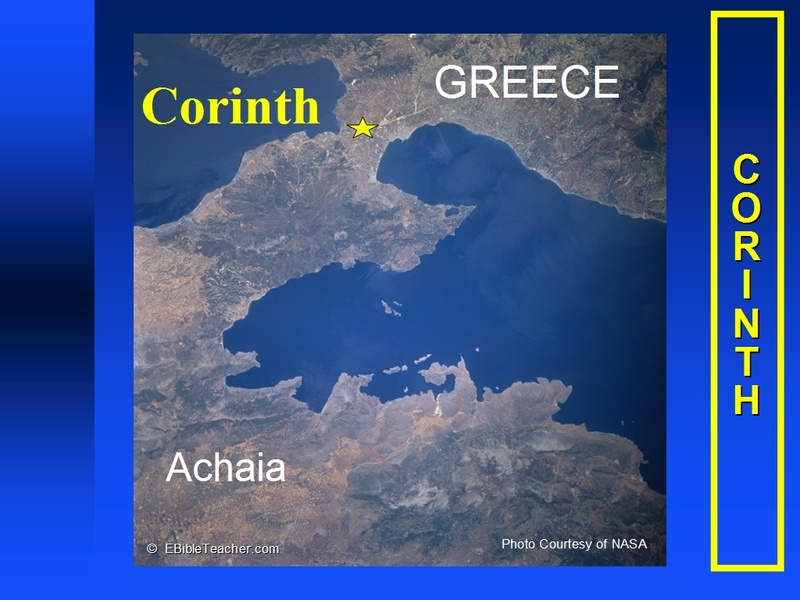 The known travels of Jesus as a child included, Bethlehem, Jerusalem, Egypt and Nazareth. 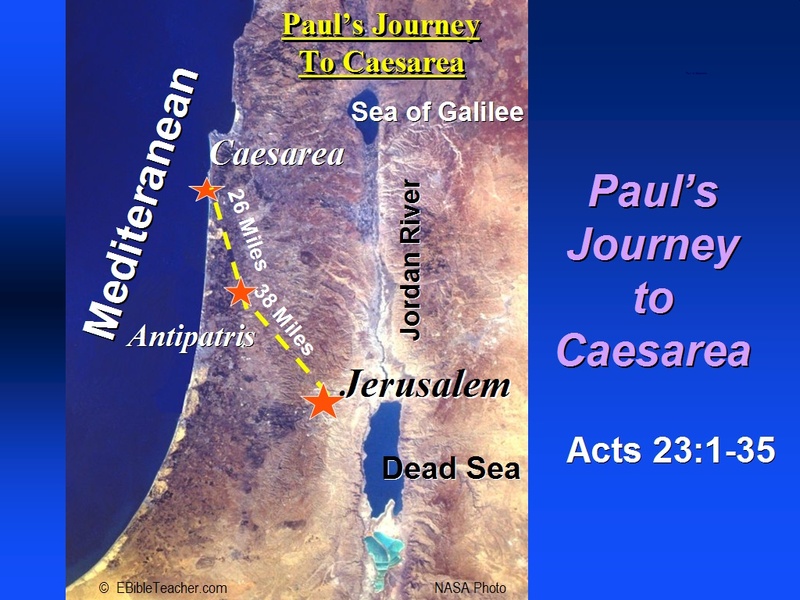 This shows the first missionary journey of Paul as described in Acts chapters 13 and 14. 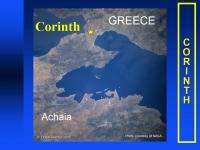 This map shows Paul’s 2nd missionary journey as described in Acts chapter 15:36 - 18:22. 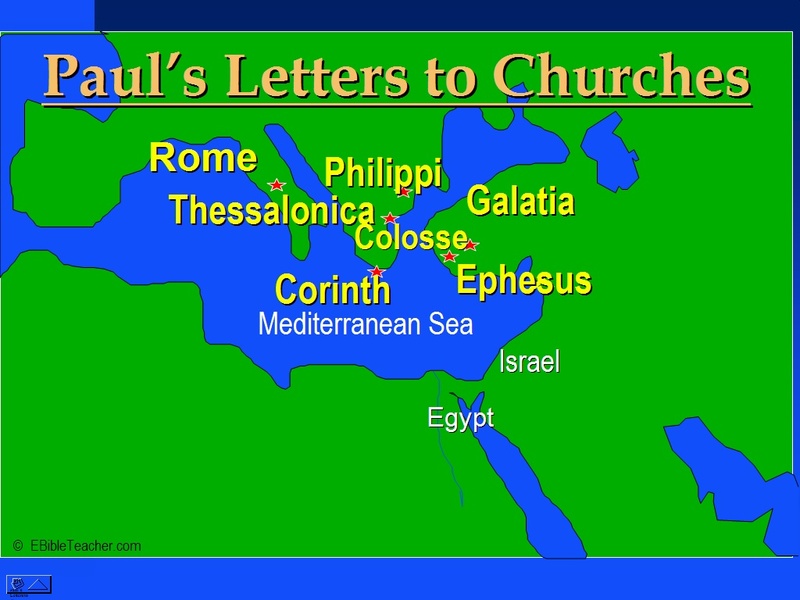 The cities of Philippi, Ephesus, Corinth and Thessalonica were later sent letters by Paul. 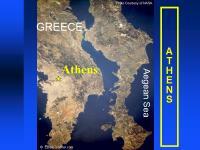 Paul’s third missionary journey was written of in Acts 18:23-21:26. In this journey he revisited many of the cities that he had previously gone to. Paul's journey to Rome is described in Acts chapters 27 and 28. 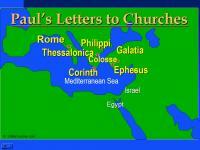 The seven churches of Asia were written to in the book of Revelation in Revelation chapters 2 and 3. 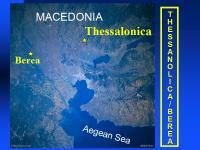 You can download a PowerPoint version of our 50+ Bible Maps. The maps you have seen above are JPEG versions of the PowerPoint maps. The maps are better quality in the PowerPoint version.